Once upon a time, if a person wanted to voice their opinion about a topic to the general public and and not do so in “real time”, he or she submitted a “Letter to the Editor”. The author could write up their opinions and position and have it posted for all to see. Along came technology and this concept evolved: businesses and institutions use social media to better communicate with their clients, fan clubs have forums and message boards, and groups of fans are able to come together in the form of online communities. All of this breeds a climate where ideas can be freely exchanged and both praise and criticism can be shared. It’s the “Letter to the Editor v3.0”. No one can dispute the fact that 2012 has been a year of blunders and missteps for the G.I. Joe Collector’s Club. Pretty much anything that could go wrong with the Club’s various endeavors has and the organization has been left scrambling to communicate details and a positive message. However, it would seem that the issues might go back further than that. Presented below is an item that dropped in my inbox today– an editorial from a long-time member of the Collector’s Club who has had enough. It is presented in its entirety– with only the author’s identity removed at his/her request. I’m done. DONE. I have enjoyed collecting both 12″ and 33/4″ GI Joe figures for over 20 years now. I’ve enjoyed it with my children. I’ve enjoyed showing that what Daddy wore when he was in the service, while they were fascinated with characters like Snake Eyes and Destro. But now, thanks solely to the GI Joe Collector’s Club, an organization who exists only to cater to people like me, I am so disgusted with the hobby as a whole, I am walking away. 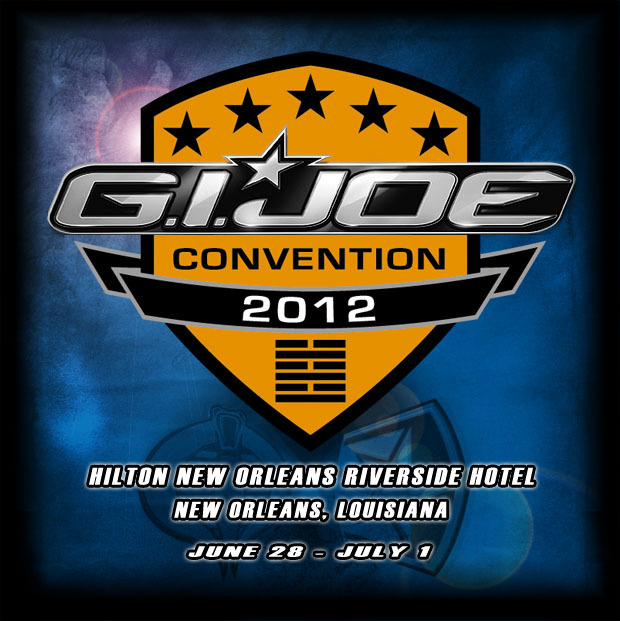 The Collector’s Club sent out the following email regarding online registration for the 2012 Joe Con in New Orleans– stating that initial online registration will be for ATTENDING registrations only. Registration will not be online today. We are in the middle of a server migration that we must have installed before we start registration. If the website is offline off and on, please don’t worry. Just a few notes. When the server comes back up, we will be loading a package matrix so that you can better understand what feature goes with each package. In addition, when we start registration, it will only be for attending packages, a few days later we will start with the non-attending packages. We need to ensure that everyone who wants to come to the show can get a package. DO NOT REGISTER FOR AN ATTENDING PACKAGE IF YOU ARE NOT COMING. PACKAGES ARE ONLY CONVERTIBLE AT OUR DISCRETION AND MAY BE CANCELLED IF YOU TRY TO CONVERT. ONLY ADMIN CAN CONVERT YOUR PACKAGE. You can also pre-order convention T-Shirts and Hats at the same time. If you have friends that are planning to register as members, they will need an active membership. You can paste this link so that they can sign up with the club. You cannot process a membership at the same time as your registration as these are two completely different systems. Go here to sign up for a new membership. In addition, we reserve the right to limit quantities. We hope to see all of you there for G.I. Joe Con 2012! It’s no secret that 2012 has seen a seemingly endless string of debacles for the Collector’s Club. Poor communication of the ever-delayed Figure Subscription Service including a lack of FIRM details on figure price, enrollment period, and purchase availability to non-subscribers started the year off. However, the icing on the cake was the extremely reluctant reveal that the Club’s member database was hacked due to a lack of basic level security and that member credit card information was stolen. (The club still have only begrudgingly acknowledged any responsibility in this situation.) Lastly, there’s the Club’s implementation of the “Golden Ticket” program in which the Collector’s Club now charges members an additional charge for something they used to do for free. Combined with the seemingly condescending attitude conveyed by the senior management of the organization it presents an interesting dilemma for Club members: what do I REALLY get out of my membership? Despite what the pundits and the election year politicos tell us, most Americans are facing tough economic times with increased costs on everything from utilities to food to fuel. As such, many people I know have begun to rethink their fiscal priorities and have begun cutting back on things like cable, eating out, etc. When faced with those choices, people are sitting down and asking themselves “What do I really get from this?” If the overall experience is positive, then the purchase is maintained but, if the experience is anything less and is seen as non-essential then people start to wonder– do I really need this? Currently, the only benefit of Club membership seems to be in the form of “discounted” pricing on Club items such as Joe Con sets. (I say “discounted” because non-members are REQUIRED to buy a membership in order to purchase the item– therefore artificially inflating the Club’s numbers.) The Club will say that the newsletter is a perk– but quite honestly the internet has rendered such notions as printed newsletters nearly obsolete. Without dynamic exclusive content such as the dio-stories created by Justin Bell and the occasional article, the document is nothing more than a glossy ad with outdated pictures and fan fic level content. Rather than allow both members and non-members the ability to purchase Club products with members receiving a discount for their annual dues, the Club requires EVERYONE to be a member. As evidenced on many non-Joe action figure boards, this caveat has proven to be a deal-breaker for a majority of individuals who were interested in purchasing SOME of the figures featured in the Figure Subscription Service but who don’t consider themselves full-time Joe fans. So, at the end of the day, as someone who hasn’t attended a Joe Con in several years now, I find myself asking the question: If I don’t go to the convention, what do I REALLY get out of my membership besides a $40+ dollar “free renewal” figure? This is followed by another question: Is it really worth the annual $44 for what I get out of it? Right now, the answer isn’t encouraging for the folks at Cattle Baron Drive and I have to ask myself– are others finding themselves walking down the same logical path? Amidst a flurry of activity over the 2012 Convention set reveals, the Collector’s Club has posted the official convention brochure online. The Oktober Guard team will consist of Daina, Colonel Brehov, Shrage, Stormavik and the yet-to-be revealed Horrorshow and General Iron Bear. The American Heroes package (attending 1:18 set) will be $345 for members and $405 for non- members. (This effectively makes all non-members into members. Go fig…) Bagged sets are $210 and require the purchase of a convention set. The Homefront Heroes package (non-attending 1:18 set) is the same as the American Heroes package. The controversial “Golden Ticket” concept is back again this year– allowing attendees who pay an extra premium the ability to pick up items early and three times the normal purchase quantities on exclusives. 75 will be available in 1:18 format and 25 for 1:6 format. The cost of the “Golden Ticket” is an additional $300 on top of the convention admission price. Quantities of the Operation Bear Trap set are 600 produced boxed sets and 325 bagged sets for both attendees and non-attendees. A special screening of G.I. Joe: Retaliation will be available for $29. Attendees will receive a full-size movie poster from Paramount Pictures. The entire convention brochure is available here in PDF format. Normally I’d keep this posting objective but it’s time to step on my soap box regarding the “Golden Ticket” concept. I wasn’t surprised last year when the ticket concept debuted last year as it seemed an EASY way for the Collector’s Club to milk out additional revenue while providing very little in terms of additional produced items. However, $300 for something that allows to purchase more items at ever-increasing Collector’s Club prices seems like a blatant cash grab. Sure, no one is forcing those individuals to pay for the “Golden Ticket” but the very concept really hits home the fact that the Collector’s Club is never and has never really been a true club “of the fans, by the fans.” It’s a business– one that has a history of baffling decisions that almost seems to alienate as much of the membership as it embraces. We’ve long suspected that the 1:18 sales bankroll the 1:6 product for the club and the numbers on the “Golden Ticket” and the convention sets bring that point home. I’ve no doubt that the Collector’s Club will sell all 75 of the “Golden Tickets” and that most of the sets purchased from those ticket holders will end up on Ebay at a vastly inflated rate. That’s the real rub of the whole situation– the Club is catering more and more to the top tier of its membership with the deeper pockets than it is the vast majority of its members. Years ago, when I was working in retail our store had the then “gotta have it” Christmas item: the Furby. Rather than letting a few customers buy out our ENTIRE inventory, our store manager set a store limit: 2 per customer. The idea was to make as many of our customers happy as possible rather than catering to just our top-tier folks. In light of ALL of the mishaps that the Club has had in just 2012 alone including missed deadlines on the Figure Subscription Service, late newsletters, and the credit card hack that affect MANY of its members (including this admin) I find it hard to see how the Club is really doing anything in try to keep the vast majority of its membership happy. Helping items to sell out faster to fewer individuals isn’t going to help win over any of the disgruntled members– even if those individuals are paying nearly convention-set prices for the privilege of spending more. Bad form, Master Collector. Bad form. GIJCC posts update on cyber security investigation. This should have posted yesterday but “real world” concerns kept the JBL staff otherwise occupied. Brian Savage brings members this latest update to the data theft/credit card scandal that has rocked the G.I. Joe Collector’s Club this year. Here is the latest update on the credit card security investigation. The firm we have hired to analyze our former ecommerce server and software has preliminarily determined that we did incur a SQL injection code attack sometime before Christmas. Our ISP did have a commercial product installed that was supposed to defeat these types of attacks, but apparently it failed. This allowed the hackers access to our order information. While it is still unknown exactly what data they were able to harvest (investigation continues) we need to assume that they were able to extract all of our order information. The security firm thinks that this attack has allowed the hackers to come back periodically and harvest more information. However, once the old server was taken out of service (around February 21st) there was nothing left for them to access. Once this information was stolen, (no matter if it was back before Christmas) there is no time frame as to when the thieves may sell or try to use the information to purport credit card theft. We are asking again that anyone who has used a credit card in our old online systems in the past year (NOT THE NEW STORE) to get your card replaced immediately. If you have done this already, there is no action required on your part. We apologize for the inconvenience, we know this whole thing is a pain, but it is better to replace the cards than have to deal with any issues that may result from this theft of data. Even though the amount of fraud has greatly declined, we are still receiving a customer report every few days of someone else (who hasn’t replaced their cards) getting hit. We strongly encourage you to take this step immediately if you have not done so already. Again, this DOES NOT pertain to any cards that have been used in the new store. We are still working on all of the issues and are several weeks away from a final resolution. Our new store is currently offline while we complete the entries and audit the data from the renewals we received last week. Just to reiterate, this new store is a totally different piece of software, at a totally different hosting site. There are hundreds of other retailers using this same software as it is hosted by the software creators. We hope to have the store online and registration system back online sometime next week. When the store comes back online, we will be adding products slowly so it will take some time to have everything back in the store. Thank you for your patience and support during this trying issue. Thank you for bringing your concern to our attention and for giving Hasbro the opportunity to respond to a matter that impacts its G.I. Joe and Transformers brands. Please know we take all consumer concerns very seriously and are in regular contact with Fun Publications (our licensee) about the possibility of a breach in security to their online purchasing system for the G.I. Joe and Transformers Collectors’ Clubs. Fun Publications is also taking this matter very seriously and is diligently working at identifying any problems, the number of customers affected and ways to ensure it does not happen to any more customers. Hasbro wants consumers to have a positive experience at all touch points for its brands, including transactions with its licensees. As such, we are confident that Fun Publications has detailed instructions and pertinent information available for those consumers who believe they may have been targeted by credit theft via their portals. Fun Publications has assured us that they are taking necessary measures to curb additional issues, and they are working with third party experts to identify the problem. 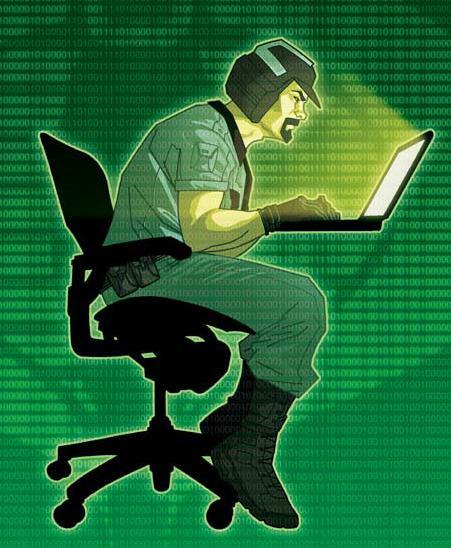 They anticipate knowing and communicating the cause of the breach as soon as possible to those affected. – They believe that the number of customers affected is low relative to the volume of sales transactions made. – However, if you believe fraudulent charges have been made to your credit card after making a purchase with any portals for the G.I. Joe or Transformers Collectors’ Clubs, we urge you to contact Fun Publications immediately and provide them with the information requested at https://www.transformersclub.com/tccccinfo.cfm or http://gijoeclub.com/ccinfo.cfm by using the “Contact Us” link at the bottom of these pages. – Fun Publications can also be reached at the following number for additional consumer affairs inquiries relating to the G.I. Joe and Transformers Collectors’ Clubs at (817) 448-9863 during regular business hours. – As more information becomes available, they will be contacting all affected customers who have notified them about the issue. Since we do not know exactly what data was taken, we are recommending that if your have used common logins or passwords with our system and any other system that your change your passwords in those systems immidiately (especially any financial sysstems)! We will be resetting all of the passwords in our system very soon. Please don’t delay in changing your passwords in other locations. JBL will continue to provide updates as this situation develops. It’s been no secret that the G.I. Joe Collector’s Club has fallen on some pretty hard times lately in terms of public relations. First, there have been the continual delays in launching the Figure Subscription service. Secondly, the convention date and hotel were changed weeks after being formally announced. Mostly recently, members of both the G.I. Joe and Transformers Collector’s Clubs have been reported fraudulent charges used at Fun Publications in the past few years. The club was slow to respond but finally acknowledged the issue last week — by suspending online ordering capabilities. The big question on EVERYONE’S mind has been — what are we supposed to do about renewals? March 16th is the deadline to renew membership in order to receive either the 12″ Man of Evil or the 4″ Footloose action figure premiums. Yesterday, Brian Savage set out the following email stating that, regardless of any security issues, the March 16th deadline is firm. Due to the issue with processing credit cards we have currently suspended your ability to renew and join the club online. The deadline is coming March 16th for you to be eligible to receive the 2012 free club exclusives. On Monday, we will have a pdf online on the club site for membership renewals and new memberships that you can mail in with a check or money order. We will process your membership as soon as they arrive. Please note that the March 16th deadline is a hard deadline (in house) so please make sure any mail is in the postal system by March 9th. If you want to receive the free club exclusive Footloose or Man of Evil, your membership must be active as of March 16th. At the bottom of this email you will find your expiration date. If it is after March 16, 2012, you are good to go for the 2012 figure. Also, please log into the club club site <https://www.gijoeclub.com/club/> and ensure you have the figure selected you want to receive for this year, either 3 3/4″ or 12″. Thanks for your support and patience during this difficult time. Questions/comments about this announcement should be directed to admin2@funpubinc.com . It seems that not even the G.I. Joe Collector’s Club is immune to computer hacks and credit card schemes. Recently, members of both the G.I. Joe Club and the Transformers Collector’s Club began reporting suspicious charges on credit cards used at Master Collector’s web stores in the past year. Members have reported charges as low as $1 to $1600.00 being attempted from locations all around the world. 1. Please send the EXACT name of merchant as it is written on your statement for the fraudulent charges. 2. Amount and date of suspect charge. 3. Bank your card is drawn on and if it is a debit or credit card. 4. Device and browser (and version) you used for your last payment with us before you saw a fraudulent charge (ie, android phone, computer, iphone, browser and version). 5. Were you on a public computer? If private, is any wi-fi on the network password protected? 6. Were you on a public wi-fi network? 7. If you were at home or work, what internet provider did you use? 8. On your last transaction with us, did you receive any kind of error message (card declined, 404 error, programming type error). If you did receive an error, how many times did you resubmit your information? 9. Charges listed(name and date) on your credit card in last 6 months. 10. When have you used your card with us, date, item(s), amount in the last 6 months. It is very difficult to track credit card fraud. With your help, we can see if there are any parallels between those reporting an issue.